1. Combine the ingredients in a food processor or blender and blend until smooth. 2. 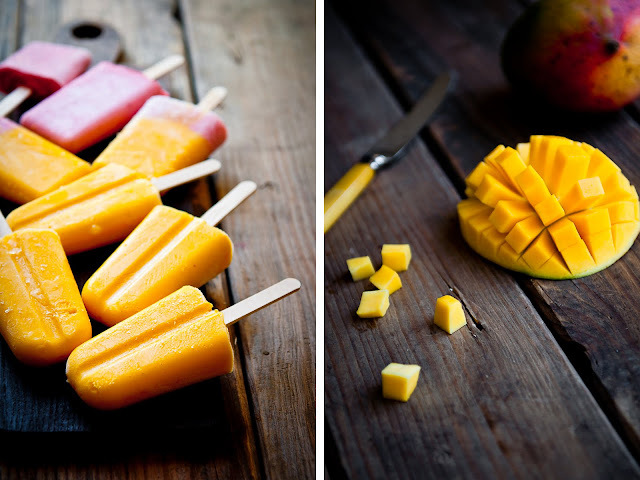 Pour the blended mango mixture into the popsicle molds and freeze until solid, preferably overnight. 3. To unmold, run hot water around the outside of the molds for a brief time until you can easily pull the popsicles out. Substitute 2 cups of ripe strawberries, chopped for the 2 cups of mango. Skip the cardamom and the salt and instead add 2 Tbspn mild-flavored honey. ph my! 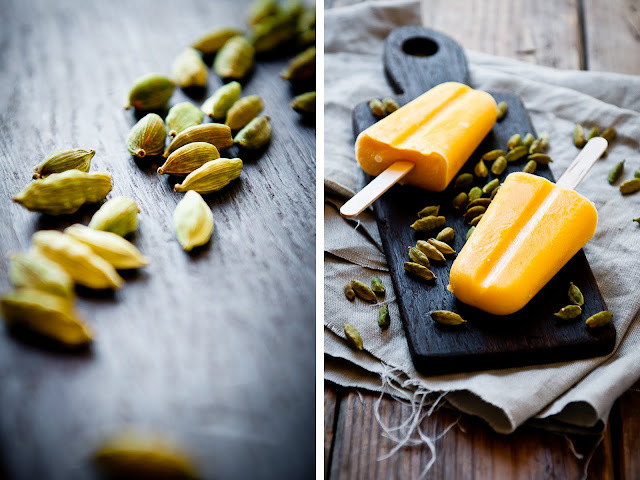 mango cardamom in a frozen lassi treat! my senses are craving for this right now! Since it seems summer is over here in Germany, I mark them for next year ;). Your photos let them look delicious over all! Is licking a monitor screen a bit juvenile? I just did. 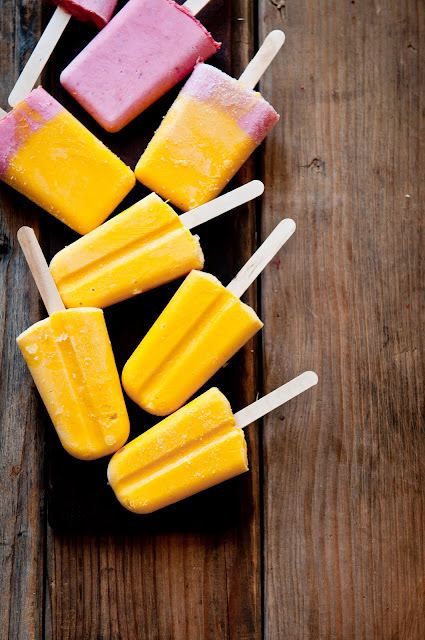 The mango lassi popsicle looks so refreshing. Stay cool up north. LA weather is so weird lately. Labor day weekend was 70 degrees and the rest of the week is going to be cloudy. Regardless of weather, however, I am convinced your popsicles choose no season. 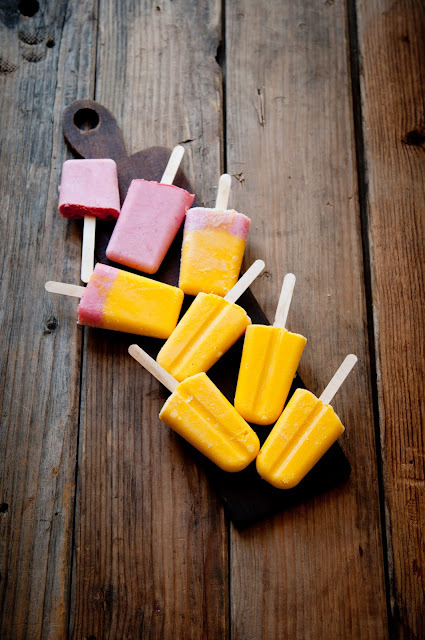 Popsicles for fall, yes please! Thanks everyone! Sorry the recipe is a tad late for places that are already turning into fall/winter! @Kathy: lol, I've been known to lick my monitor, too! hehe. I'm totally an ice cream year round person, and especially in LA, I'm sure you'll have the right weather for these soon! @Xiaolu: no need to go and buy popsicle molds. I sometimes make popsicles out of the randomest stuff lying around. Shot glasses work really well for minis, for example, if you have those. I've never worked with or even had kefir at all! Definitely will have to check it out... super curious now! Love love love your blog. Such beautiful ideas and things to make. I absolutely love your photography. May I ask what camera you use to get such vivid pictures? @Sandeep: Thank you! I use a Nikon d90, shooting raw. OOoooooh those mango & cardamom ones look yum! 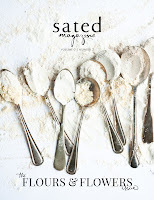 I'm such a fan of lightly spiced desserts, cardamom being one of my favourites to use like this. These are so beautiful! I just got some popsicle molds and I think I will try your recipe first. Thank you! oooooooooo, I'm drooooolin on your post. sooo delicious. 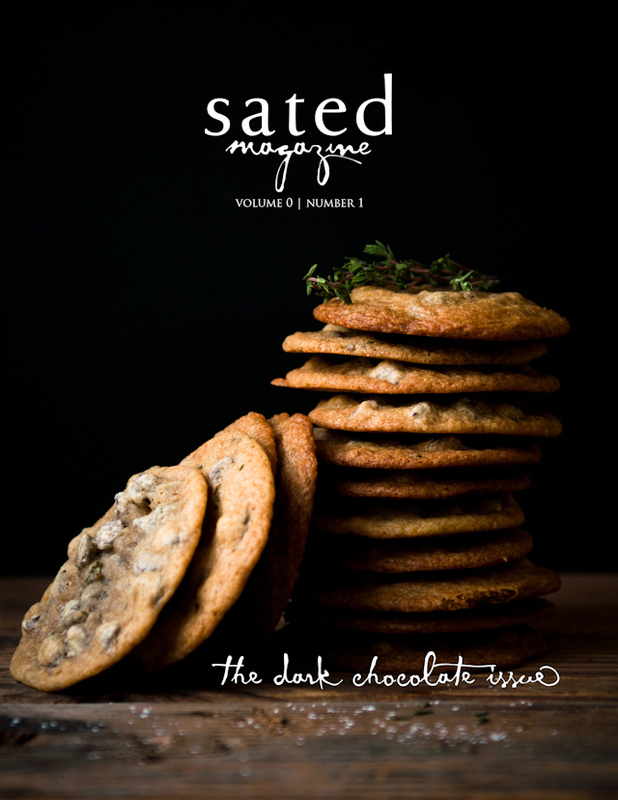 I know I'm pretty late to find this, but I think I'm going to make this and throw it in my ice cream machine to get a nice little sorbet! So funny to see this. I just made Mango Lassi pops last week but hated the way they came out. I think I might have used the wrong kind of mango. I used the smaller yellow mangoes instead of the bigger red/yellow ones. Do you think they taste very different? I havent eaten enough mangoes to be sure. @Melissa: I think they might taste different--I actually don't eat the small yellow ones very much, so I wouldn't know?